The “Four F’s” have shaped George Allen’s entire life. The son of an NFL coach, George Allen learned early on it was family that would always serve as the one constant “in a life filled with ups and downs, hirings and firings, and moving.” These days, he sees husband and father as his most rewarding titles. He’s been married to Susan for twenty-five years. 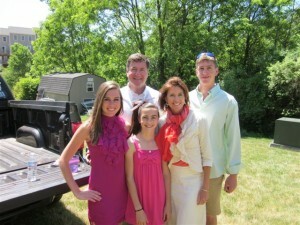 Together they have raised their three children – Tyler, Forrest, and Brooke – sending them to public schools while living all over Virginia in the Charlottesville area, Richmond, Chesterfield, and currently in Mount Vernon. Like other parents, they are watching them learn in middle school, head off to college or even enter the world with a degree ready to tackle the exciting challenges ahead. George grew up in a football family with “grace” before supper and seeing the concept and importance of faith instilled in all the teams his father coached. From having the Redskins chaplain, Tom Skinner, provide the invocation when he was sworn in as the Commonwealth of Virginia’s 67th Governor to continuing to work with local pastors as they serve their communities, George has not lost sight of those guiding principles he learned growing up. 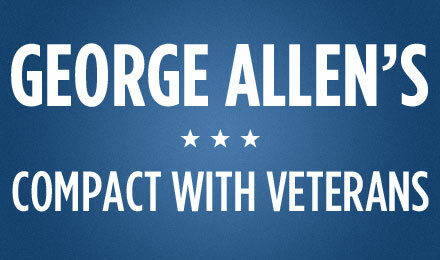 George Allen is fond of telling how the two greatest influences in his life were his parents. His mother grew up in Tunisia where she experienced the oppressive and terrifying Axis occupation during WWII. It was from his mother that he learned the concept and blessings of Freedom. It’s a concept that would shape his life and help instruct his political philosophy and beliefs. George started his professional career as a law clerk in Southwest Virginia for beloved conservative Judge Glen M. Williams. The lessons he learned from Judge Williams and the time he spent in Abingdon continue to impact his appreciation for the rule of law to this day. A self-described “Common Sense Jeffersonian Conservative,” George had the distinction of holding Thomas Jefferson’s seat in the Virginia General Assembly. As Governor he put into practice many of the ideas and concepts that he worked on while serving in Mr. Jefferson’s seat. Sworn in as Governor in 1994, George set about to bring sweeping reform that would make Virginia a national model in economic development, public safety, education accountability, welfare reform, and creative government. He challenged critics and sentiment that suggested it couldn’t be done, reining in government spending and substantially reducing the size of the state workforce. And he accomplished his reform agenda with bi-partisan support. 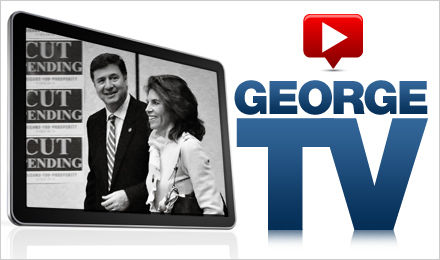 Elected to the U.S. Senate in 2000, George continued to advocate for Virginia’s families. He advocated for the 2001 and 2003 tax cuts that spurred opportunities for more job creation and created the Competitive Caucus to keep America the “world capital of innovation”. George was one of about a dozen Senators to vote against the Bridge to Nowhere. He strove to make Congress live like families do – within its means – by introducing and advocating for real budget reform including a balanced budget amendment, line item veto, and a paycheck penalty for Members of Congress when they fail to pass appropriations bills on time. 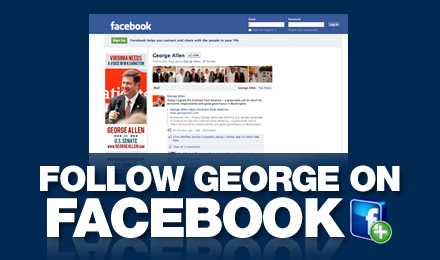 Since leaving the U.S. Senate George has continued to advocate for the issues and ideas he has always fought for. 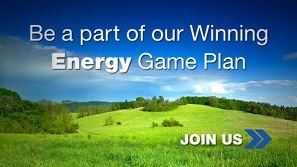 He launched the American Energy Freedom Center, whose mission is to advocate positive ideas for American jobs, economic prosperity and promote increased freedom, opportunity, and competition in the development and use of our vast energy resources. George also serves as the Reagan Ranch Presidential Scholar for the Young America’s Foundation. 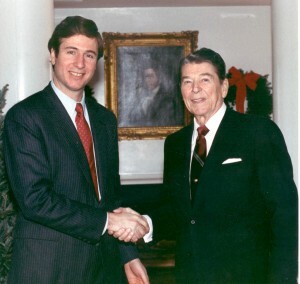 Ronald Reagan – one of George’s other political influences – can be credited for getting George involved in politics when Governor Reagan asked him to lead Young Virginians for Reagan in 1976. Football has always been a central part of George Allen’s life. And he lived it watching his father coach growing up. He played it at the University of Virginia where he holds a degree “with distinction” in History, as well as a law degree. George firmly believes sports is a meritocracy that rewards earned success, teamwork, preparation, competitiveness, perseverance, innovative leadership and hard work – and shows how our government ought to live by some of these principles and characteristics. In his recently released book, What Washington Can Learn from the World of Sports, he presents solutions that can work to put people across America in a position to compete and succeed in achieving their dreams.